Free Shipping Included! 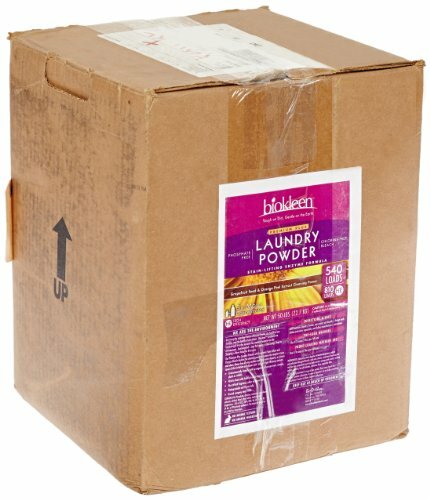 BioKleen 00047 Premium Laundry Powder, 50 lbs Box - 750 HE Loads/500 Standard Loads by Biokleen at Blog Free Here. MPN: 00047. Hurry! Limited time offer. Offer valid only while supplies last. BioKleen laundry products are ultra concentrated to reduce packaging, waste and energy. Just one wash gets cloths exceptionally clean and odor free. BioKleen laundry products are ultra concentrated to reduce packaging, waste and energy. Just one wash gets cloths exceptionally clean and odor free. Not that's a load of savings. No phosphate, no chlorine concentrated laundry powder that whitens whites and keeps colors bright without leaving irritating residues or chemical smells that might damage fabrics or bother those with chemical sensitivities or concerns. Added oxygen bleach and stainlifters. Uses: Whites, colors, diapers, hotel and spa linens and towels. Front-load (HE) and top-load washing machine systems.